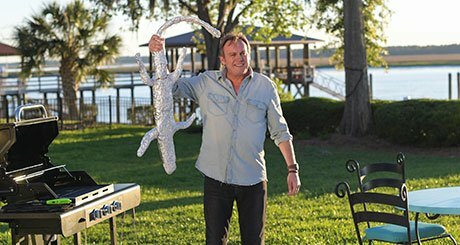 Sky1 in the UK has commissioned a comedy drama series from the makers of hit ITV show Cold Feet about a British family that decides to move to Florida. Living the Dream is being produced by Big Talk Productions for the satcaster’s main general entertainment channel. The six-part series stars Philip Glenister (Outcast, Mad Dogs) and Lesley Sharp (Scott & Bailey, Paranoid) as the husband and wife team who decide to uproot their teenage children and head to the sunshine state. The show has been created and written by Mick Ford (Single Father, The Five) and will be directed by Saul Metzstein (Doctor Who, You, Me and the Apocalypse) and Philippa Langdale (Dickensian, Skins). Sky1’s channel director Adam MacDonald and Sky’s head of comedy Jon Mountague greenlit the series and filming is already underway in the US. ITV Studios Global Entertainment holds worldwide distribution rights, with WME representing it in the US, and the show will make its UK bow on Sky1 and streaming service Now TV later this year.